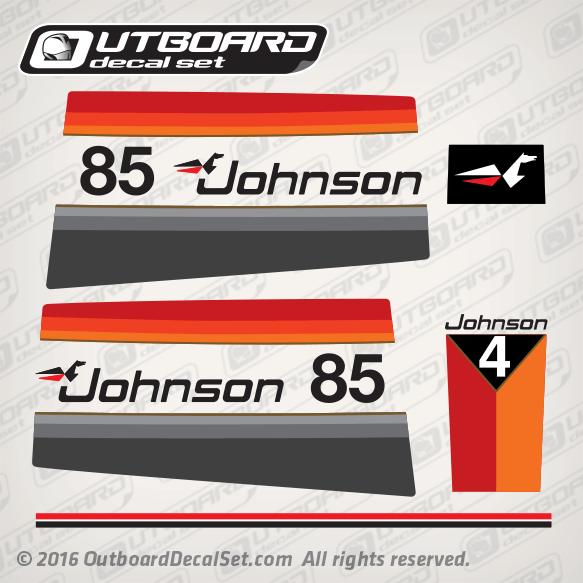 Johnson 85 hp decal set for late 1970's 1977 Outboards. 1 - 0388177 MOTOR. COVER ASSY,85 HP only. 1 - 0387912 MOTOR. 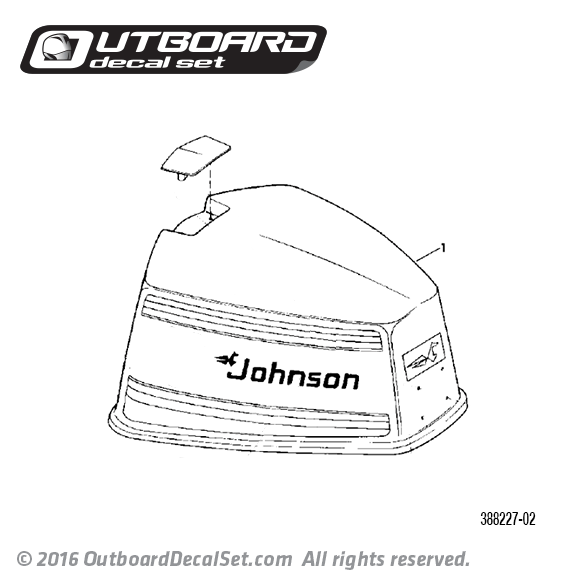 COVER ASSY, 85 HP only.